NEW YORK - Most nights, New York mom Lisa Cappiello gets to have dinner with her two kids. But on Thanksgiving, she'll have to cut it short to get to her job at Macy's. "I would've though 8 o'clock. Never in a million years would I have thought 6 o'clock," said Cappiello. That's when Macy's starts its Black Friday sale this year -- two hours earlier than last year and four hours earlier than in 2012. 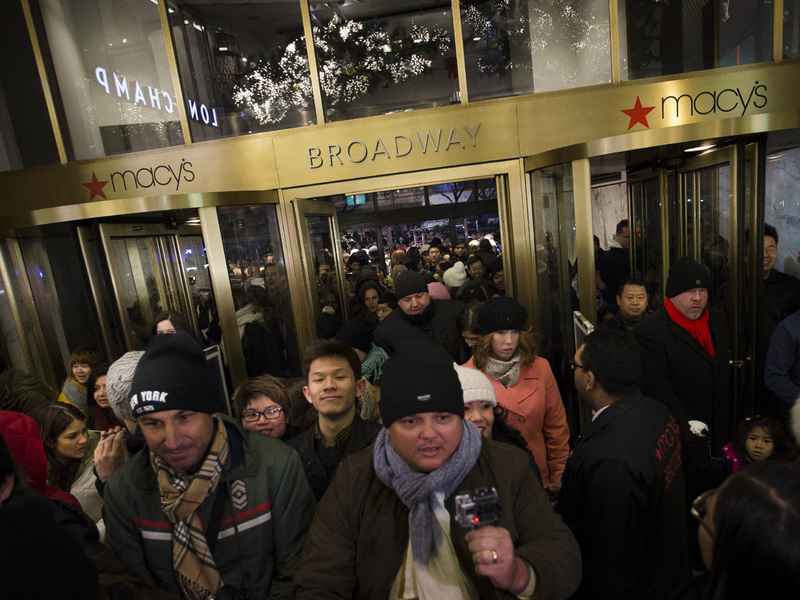 Cappiello noted that Macy's employees must work on either Thanksgiving Day or Black Friday. But she says as a single mom, she doesn't have much of a choice. "People choose to go in for Thanksgiving because they're offering you time and a half to come in, and if you need the money, you're going to take it," Cappiello said. Clare O'Connor of Forbes Magazine tracks Black Friday trends. "There are more people willing to go to the stores, get in long lines and try to get the most bang for their buck," she said. O'Connor said retailers are being forced to open earlier in order to compete with Internet retailers and stores like Wal-Mart. They're all competing for those potential customers willing to trade Thanksgiving dessert for steep discounts. "Last year, some $13 billion was spent in the U.S. by shoppers on Black Friday and Thanksgiving combined," said O'Connor. Sixty-six percent of people surveyed by Accenture said they plan to shop this Black Friday, up from 55 percent last year. Nearly half of those surveyed said they would shop in-store between 6 p.m. on Thanksgiving and 5 a.m. on Black Friday. In Florida, Derek Dearmond proved himself to be a die-hard Black Friday fan. He lined up two weeks early at Best Buy for a deal on a television. "We need this adrenaline rush of coming out here and being the first in line," he said. But not everyone is enthusiastic about the holiday creep. There's been a backlash, with online campaigns calling for a stop to shopping on a day that's supposed to be about giving thanks. "There are still people out there who want a deal, boycott or no boycott," said Clare O'Connor. But for Lisa Cappiello, those deals mean her favorite family holiday is another day at work.